Aerial view of Southampton, looking South. The open air swimming baths are in the foreground. 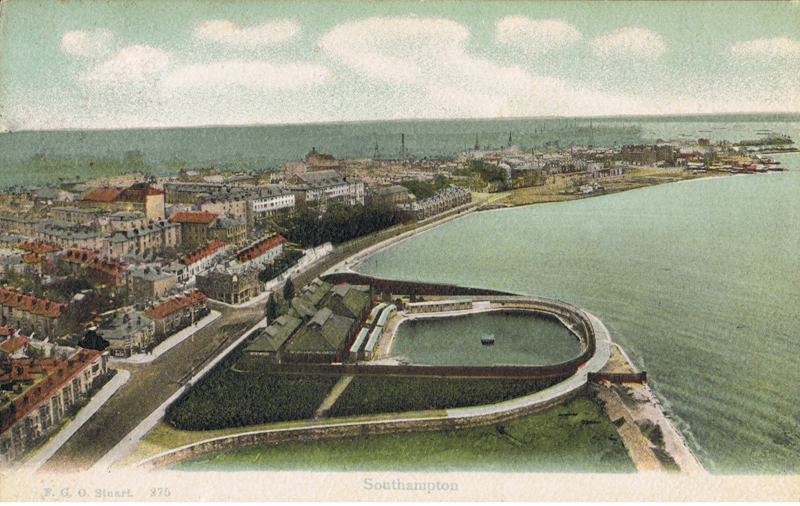 The baths and the sea on the right are now the site of the West Quay shopping centre and reclaimed land.